We helped 100s of people to obtain most competitive quotes every week for affordable life insurance policies by comparing the UK's leading life insurance providers. Your privacy is important to us. We are registered under the Data Protection Act 1998. Registration Number: ZA036317. 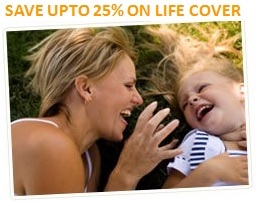 BestLifeQuote.uk.com is an independent UK website that compares the leading life insurance policies from best UK providers to help you find out the right cover that suit your individual requirements. We search all of the major UK life insurance providers to identify good value policies and provide free no obligation quotes. Our personalized service is free for you to use and it is not compulsory to proceed with any of the quotes you receive from us. We are committed to help you get the best ever life insurance cover from a sea of options in the UK market. All you need to do is complete our short online form and leave the rest to us to find you the best life insurance cover quote from a range of affordable plans. We never let you pay us any money for using our comparison service. It is absolutely free of cost. All we do is charge the life insurance expert whom we send your enquiries to and this charge can be fixed or it may vary. This charge will only relate to the introduction of you to the life insurance expert. Our website includes an enquiry form that you can use to request information about or quotations in respect ofLife insurance, Income Protection, ASU and Funeral Plans. We may supply the information that you provide through the enquiry form to FCA authorised broker, Funeral Plan providerand/orselected Financial Technology (FinTech) companies that provide the introduction to the service providers. This website is owned and operated by Click Search Media Limited. Our registered office is at 4 Imperial Place, Maxwell Road, Borehamwood, Hertfordshire, WD6 1JN. Click Search Media Limited trading as BestLifeQuote.uk.com is registered in England and Wales with company number 07849566 is the data controller and responsible for your personal data (collectively referred to as “Click Search Media Limited”, “https://www.clicksearchmedia.co.uk”, “we”, “us” or “our” in this privacy notice). If you wish to exercise any of the rights set out above, please contact customercare@bestlifequote.uk.com for further details. We have relationships with carefully selected and trusted marketing suppliers. Sometimes you might see our adverts on other websites. This is because a cookie has been used to deliver the ad to you. It is important to understand that these cookies are completely anonymous - they are only stored on your computer. No information is ever shared with other websites and you have the ability to opt out of targeted marketing directly from these trusted suppliers. Preventing these cookies may stop us from offering you some services. All of these cookies are managed by third parties. To exercise all relevant rights, queries or complaints, please contact us at customercare@bestlifequote.uk.com to discuss your concerns. Level Life Assurance/Level Term Life Assurance is another term which is used to refer to Term Life Assurance. Normally the affordable forms of life cover. The face amount remains level throughout the stated period. This policy is often purchased for short term debt or intermediate term debt. Copyright bestlifequote.uk.com © 2011 - 2019 — All rights reserved. BestLifeQuote.uk.com and the logo are registered trademarks of Click Search Media Limited. *The actual premium will depend upon individual circumstances. *The content of the site is for information purposes only and does not constitute financial advice under the financial conduct authority regulations. *Please seek independent advice before considering any type of insurance services product.